And we don't know where most of it went. Why is local income inequality rising? How can we quantify it? What's It Like To Be Jewish And Latino? Maybe Trump And Obama Don't Appeal To Two Totally Different Americas. Maybe. "Unsustainable human activities" are behind most of the pressures on the primate species. But this doesn't mean we should stop vaccinating against measles. The numbers of the disappeared in Mexico are staggering. 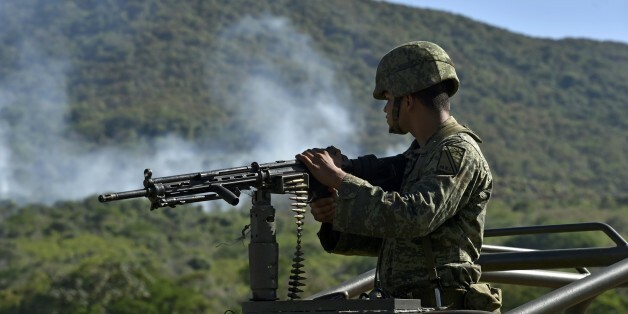 A government report leaked just before President Enrique Peña Nieto took office estimated that at least 25,000 have been abducted or have gone missing between 2006 and 2012. This is our pick for the top LGBT stories -- both positive and negative -- from the Americas in 2013. Separating the two lists should not give the impression that nothing good ever comes out of adversity. Robert Pruitt's Women, currently on exhibition at the Studio Museum of Harlem, is a series of 20 portraits of contemporary black women embodying such graceful restraint that they become curative in the present moment. As President Barack Obama and President Xi Jinping of China begin discussions designed to forge closer personal bonds between the two nations, they should not shy away from uncomfortable topics. The centerpiece for this summit ought to be crafting a shared vision on human rights. After analyzing data from 89 markets worldwide, a new report by Mercer lists company car benefits as a key component in key talent retention programs, with brands such as Volkswagen, Ford, Toyota and Honda topping the list of cars offered to the most valued employees.